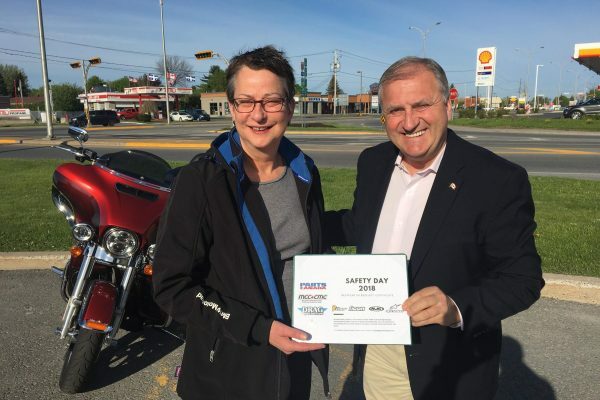 To help launch our annual May is Motorcycle Safety Awareness Month campaign, MCC initiated a program to find Canadian motorcyclists making a difference in their local communities. We asked MPs to nominate individuals or groups who give back to the community through volunteering, fundraising, or mentoring. We were looking for on and off-road riders and motorcycling organizations that represent the Canadian spirit on two wheels and are engines in their communities. This was an opportunity to recognize unsung heroes doing excellent work in their local community. 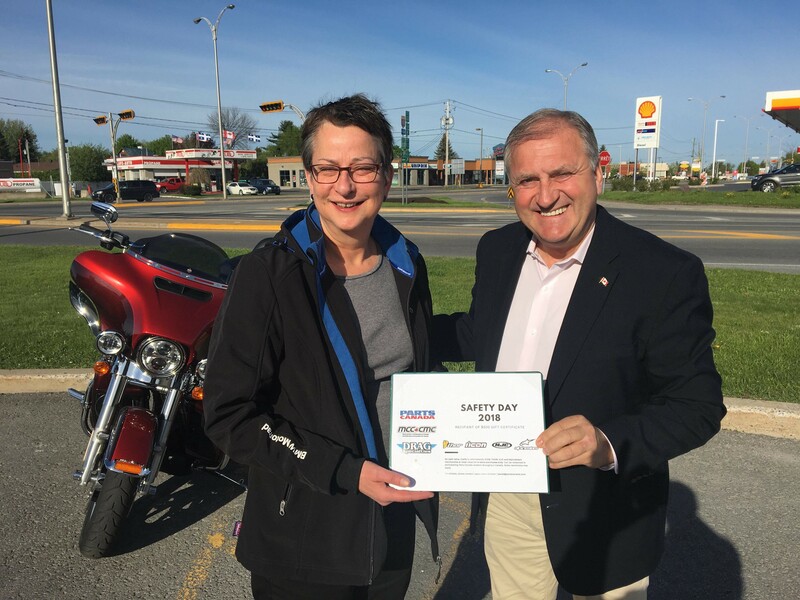 Three winners were drawn during MCC’s Motorcycle Safety on the Hill reception on Parliament Hill in Ottawa on May 1, 2018. A special thank you to Parts Canada for generously donating gift certificates for each of the three winners. 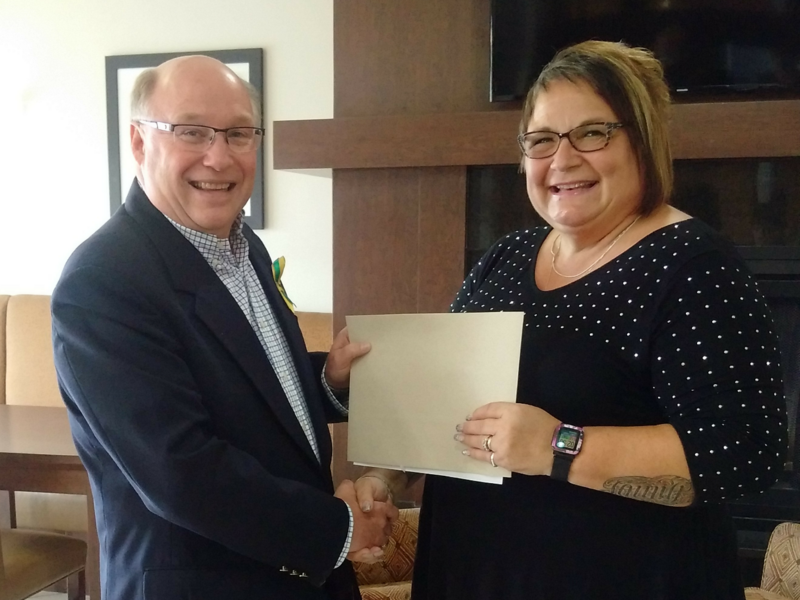 Pam was nominated by Dr. Robert Kitchen, MP of Souris-Moose Mountain, Saskatchewan. She received a $750 Parts Canada gift certificate. Pam is a member of the Prairie Winds Motorcycle Club in Southeast Saskatchewan. Her club puts on the annual Prairie Winds Motorcycle Fun Ride which raises money for the Ronald McDonald House. In 2017 they raised approximately $4,000 and in 2016 raised around $3,500. According to MP Kitchen’s nomination: “Pam organizes these rides and does an outstanding job doing so. 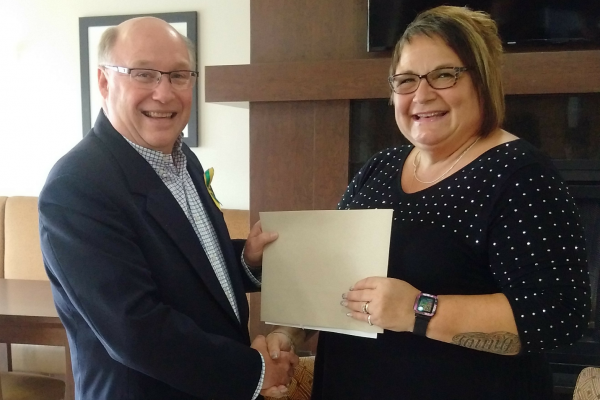 Her dedication to helping those in need is admirable, and she absolutely embodies the title of a “Motorcyclist Making a Difference” through her work in her community and the surrounding areas. Hélène was nominated by MP Jean-Claude Poissant in the riding of La Prairie, Quebec. She received a $500 Parts Canada gift certificate. Hélène has always been passionate about motorcycles. She is an outstanding communicator and co-author of the book “Le Québec à moto”, a guide for motorcycle riding in Quebec. The book offers a variety of motorcycle trips in Quebec and the northeastern United States, including picturesque country roads, suggestions for stops to visit and meals, and how to get the most out of your getaway. Harjinder was nominated by MP Sukh Dhaliwal in the riding of Surrey-Newton, British Columbia. He received a $250 Parts Canada gift certificate. Harjinder is a member of the Sikh Motorcycle Club. Their goal is to help injured motorcyclists in cooperation with AIM (Association of Injured Motorcyclists), and to enhance communication and initiate discussions with Canadians to bring awareness and understanding about the Sikh religion. Thank you to all the MPs for nominating motorcyclists making a difference in their communities and congratulations to the three winners!